In Santo Domingo we raised awareness in the streets, conducted an educational program in San Pedro, and amped up for the big day: Ganémosle 2014’s 5K, 10k, and Zumba fitness festivities. The events drew thousands to Santo Domingo’s central park, among them local celebrities and professional athletes. That morning we ran an educational day camp for young people living with diabetes, while their parents participated in the race. I was with the 4-7 year olds and taught them how to best react to extreme blood sugars and how to recognize which foods have carbohydrates and which don’t. Robin Ball attends the University of British Colombia. 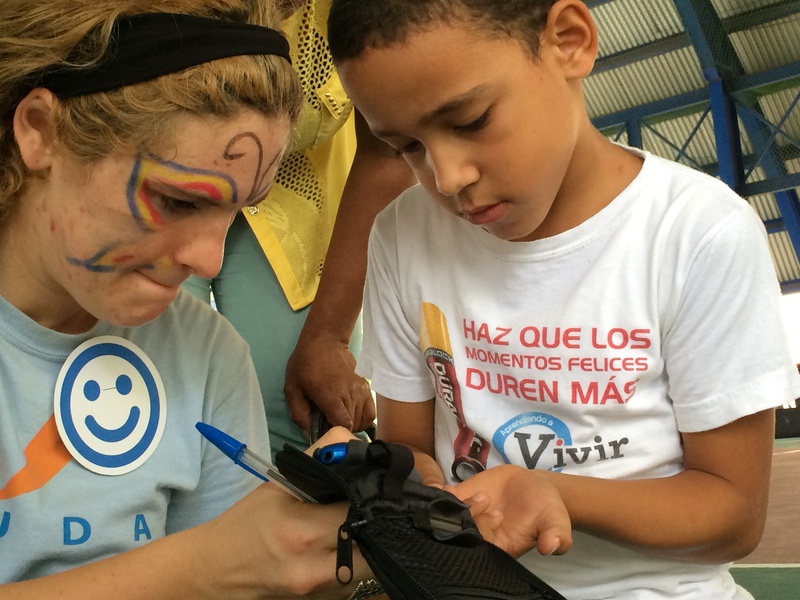 He volunteered with AYUDA in 2012 in Ecuador and in 2014 with Ganemosle in the Dominican Republic.